Exceptionally glamorous. This unique opera necklace is a gorgeous display with small bouquets of diamonds and black pearls. 110 marquise diamonds are white gold wire wrapped by hand. 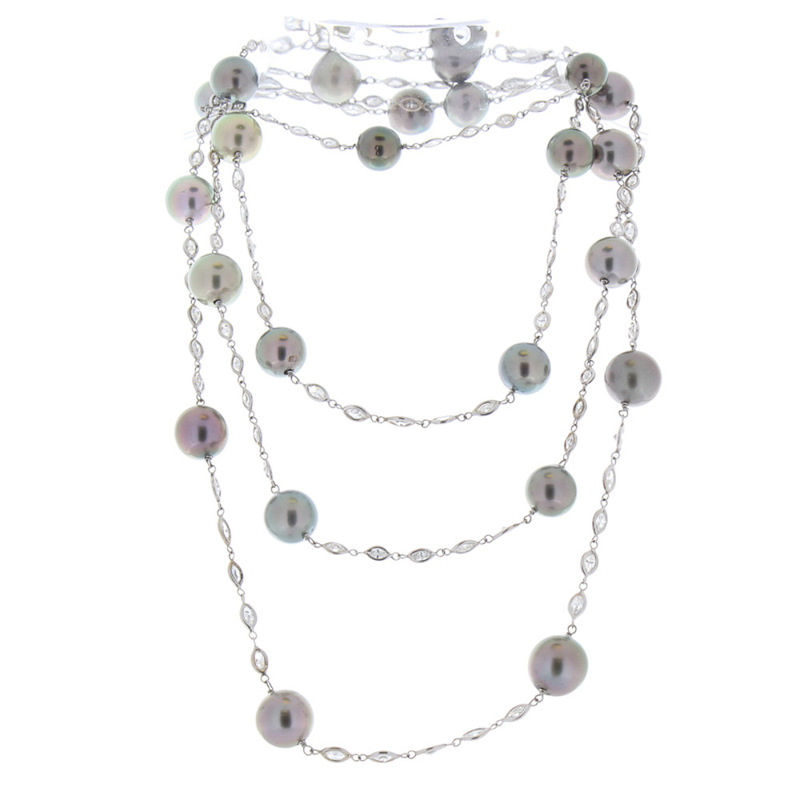 Each group of sparkling stones surround one of the 23 beautiful black Tahitian pearls, all fantastically hung from this 32" long display in 18 K white gold. This necklace is versatile. Wear it long or wrap it for 2 or even 3 rows of glamour.